SAN ANGELO, TX-- There will be a total lunar eclipse that will feature the rare Super Blood Wolf Moon on Sunday. The "Super Blood Wolf Moon" got its name due to multiple reasons. The "Super" got its name due to the fact that the moon will be the closer to the earth than normal. The first full moon of the year is called the "Wolf Moon," and the "Blood" is due to the reddish tint that will appear on the moon's surface. The closeness of the moon is a big factor to the eclipse. According to NASA, eclipses can occur when the sun, the moon and earth align. Lunar eclipses can happen only during a full moon, when the moon and the sun are on opposite sides of earth. 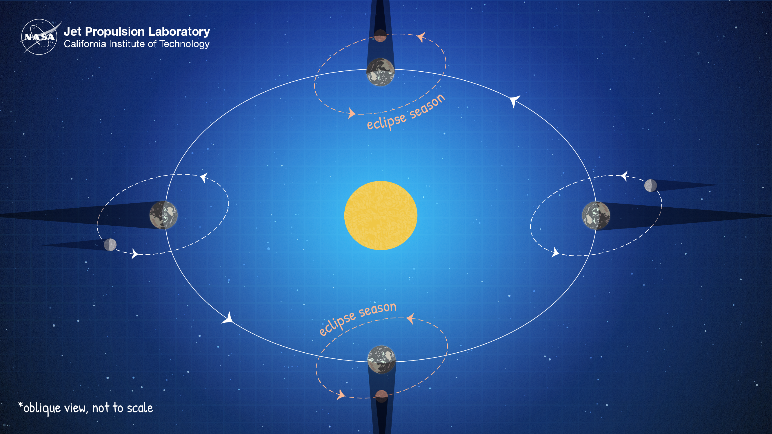 At that point, the moon can move into the shadow cast by earth, resulting in a lunar eclipse. However, most of the time, the moon’s slightly tilted orbit brings it above or below earth’s shadow. The red coloring happens when sunlight being scattered by particles in earth's atmosphere, this is the same concept as when you see color during a sunset. The eclipse will begin at around 9:30 p.m and will continue throughout the night. At around 10:30 p.m. signs of the red will start to appear, and for the following hour the moon will be the brightest and most red it will be for the night. Near 12:00 a.m. the moon will start to leave earth's shadow, and by 12:50 a.m. the moon will be back to the normal full moon. Super Blood Moon's are only visible once every two or three years, with the last visible one in 2015, so make sure to be looking. The governments and situations in the world can sometimes make you take a pause. I was watching this ufo show once on Telly. It was in Nevada, filming on location. The interviewer put the microphone right up to this tall good looking lady with really beautiful black hair . Here was the question. What would you do if you met or talked to an extra terrestrials. She responded, I just wanted to tell them there is a lot of love down here and give em a hug. beyond the blue. I saw Jupiter through a telescope once but someone told me it is mostly gas. lookup gas in the urban dictionary and you may get a variety of definitions.